I’ll bet you can add some of your own words to that list, but the end result would probably be more negative ones than positive. Customer service basics are a part of all inside sales positions. How are you at these crucial skills? True or False: You either have the right personality or disposition to be a good customer service rep or you don’t. Answer: False. Good customer service isn’t as much about personality as it is about learning and consistently using a set of proven skills. Anyone who wants to get better at meeting and exceeding the needs of customers can learn and then apply—consistently—a set of skills that includes the proper opening, middle and ending of a customer service call. The problem isn’t that there aren’t enough people with the right personality out there, it’s that most of the customer service reps operating today haven’t been given the right training, nor the right follow up coaching, to be consistently good at exceeding the needs of their customers. True or False: Customer services reps with the most product and service training will result in the best experience for the customer. Answer: False. Companies spend hundreds of thousands of dollars on product and service training hoping to put the most educated customer service reps on the phones for their customers. The sad truth is that this doesn’t always translate into a positive or entirely satisfied experience for the customer. 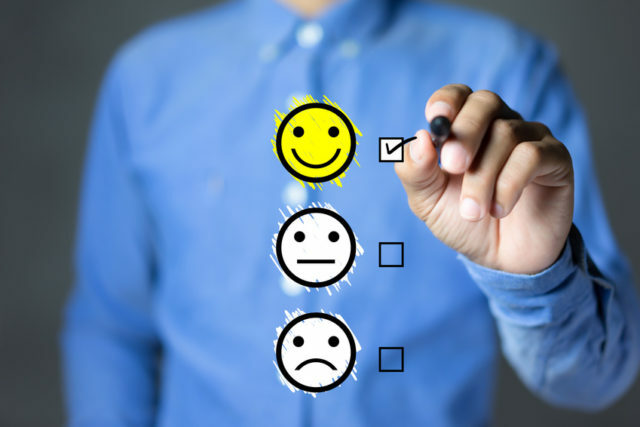 We have all had an experience where the attitude and tone of the customer service rep overpowered the knowledge or help they were able to offer, and we also have had the opposite experience of dealing with a pleasant customer service rep who was eager to help. Which would you rather deal with? While product or service training seems more direct and measurable, basic customer service skill training is just as, if not more, important for the overall customer experience. True or False: It is hard to find and train good customer service reps.
Answer: True AND False! Let’s face it—good help is still hard to find. Finding good people to hire can be a time consuming and difficult process. The saying “It’s a numbers game,” is an accurate way to describe this process. There are a number of variables that come into play in finding good candidates including your location (city, part of the country, etc. ), your company and pay scale, the available talent pool of candidates, etc. While it is true that finding these candidates is sometimes hard to do, training them doesn’t have to be. Training people to excel at giving great customer service is possible if you focus on providing people with the skills it takes to exceed your customers expectations and if you then coach adherence to those skill sets. Unfortunately, this is where many companies fall short. While there are many good resources and training available to teach these skills, many companies still focus on product and service training. Hopefully, after a careful review of your own customer service team’s skills, you’ll decide to provide the kind of training that gives your customers the kind of experience that will keep them coming back. If you or your company are interested in learning the kind of skills that enable your customer service reps to consistently give GREAT customer service, then visit our website: http://mrinsidesales.com/ or call us at: (919) 267-4202. We look forward to helping you soon!